The Metropolitan Phoenix retail market continues its recovery, as noted in a recent report from CBRE Phoenix Research. With vacancy under 10 percent for the first time in seven years, demand for space is beginning to reflect that of pre-recession levels. However, while a sense of normalcy is slowly returning to the market, real estate experts are noticing new trends emerging in this post-recession retail market; and, one of the most prominent of those trends is Medtail, or the addition of medical related tenants to traditional shopping centers. “Medtail is definitely becoming part of the “new normal” of retail, particularly where neighborhood shopping and strip centers are concerned,” said CBRE vice president Steve Julius, who specializes in retail real estate. Julius, who partners with Vice President Jesse Goldsmith, points to the fact that healthcare providers and vendors are increasingly focused on becoming more accessible and convenient for their patients. With that in mind, traditional retail locations can be incredibly attractive to these types of tenants. Goldsmith also says that while location of a retail center is important to potential healthcare tenants, the size of space and neighboring tenants can be just as important. Landlords like them as well, sometimes taking interior spaces that a traditional retailer may not favor. Additionally, medical users often invest more into their infrastructure, making them less likely to move. The retail investment team points to properties like Chandler Plaza, one of their current listings for sale, as an ideal example of this particular mix of attributes. Chandler Plaza, which sits at the northwest corner of Alma School Road and Chandler Boulevard, is a neighborhood strip center that features a mix of medical and traditional retail users. These combined factors mean Chandler Plaza hits the sweet spot for success with both retail and medical tenants. Shoppers and patients have immediate access to the types of retail they visit regularly and at the same time can conveniently take care of primary-care health needs and services. These types of synergies will continue to be a factor in retail ownership strategies in the future and Medtail has begun to be well received of buyers of retail properties. Going forward, the team says properties like Chandler Plaza will be highly sought after by buyers of retail centers. “Medical tenants are welcomed by investors of retail centers because they bring daily traffic to the centers, invest heavily in their sites, and fill spaces where other retail categories have become extinct,” said Julius. Aldy Damian, Principal of current Chandler Plaza owner Chandler Holdings LLC, says he is very pleased with the tenant mix at Chandler Plaza. He points to the stability well-respected health care tenants provide as well as the steady traffic from patients as major pluses. He says healthcare tenants are also much more likely to invest in their spaces. Julius and Goldsmith say long-term commitments from medical tenants make lease up of vacant space an easier sell also. 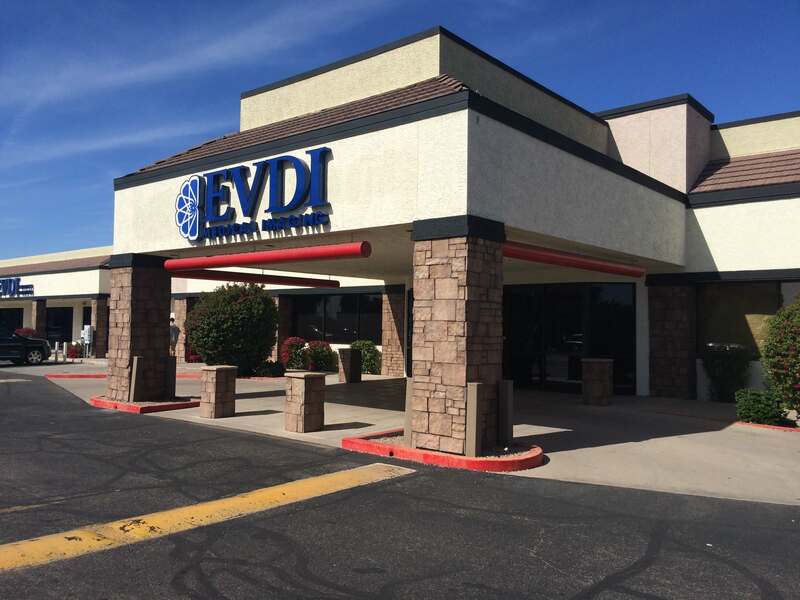 Using an existing 4,4000-sq.-ft. space directly adjacent to EVDI as an example, the suite recently came available due to some shuffling of existing tenants in the center. “This suite is perfectly situated for a new medical practice or user to capitalize on the strong patient traffic to the plaza,” said Goldsmith.